Small residential reverse osmosis units run a small amount of water down the drain while they are producing water. The flow to drain shuts off when no water is being produced. The drain water is an essential part of the whole operation. Its function is to carry away impurities. Reverse osmosis membranes screen out impurities, but they do not hold them as filters do. Instead contaminants like lead, fluoride, nitrates, or sodium, to mention a few, are rinsed away and sent down the drain. The drain water leaves the membrane housing through a small elbow fitting. It passes through a device called a flow restrictor, which is either inside the elbow fitting or installed into the small drain tube itself. 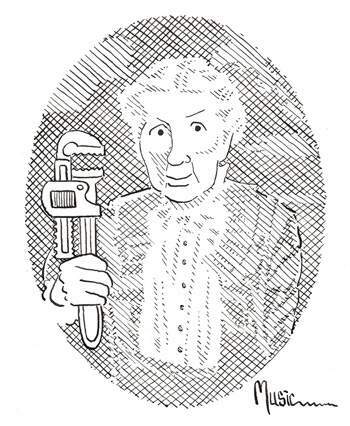 The drain water then passes through a backflow prevention device–in some cases an “air gap” faucet, in some cases a one-way valve (check valve)– on its way to the undersink drain pipe. Some manufacturers skip the backflow prevention device and send the water direct to the drain. Finally, the water enters the drain pipe through a special adapter called a drain saddle. RO drain line with flow restrictor and check valve. Flow restrictor that inserts into the drain line. specific amount of water, usually measured in milliliters per minute, flow out of the membrane housing and to the drain pipe. The amount of water that it lets pass is related to the production rate of the membrane. A 50 gallon per day membrane needs more flow to drain than a 25 gallon per day membrane because it needs to wash away impurities faster. 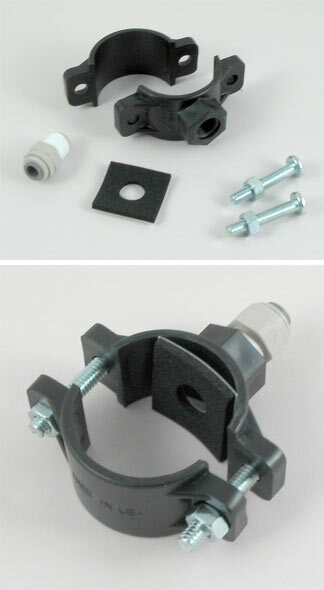 A slightly looser flow restrictor is used with the 50 gpd membrane. Here is a chart that matches restrictor sizes with common membrane sizes. When you replace an RO membrane, you can usually replace it with a membrane of different production capacity, but if you change to a membrane that produces more or fewer gallons per day you must replace your flow restrictor with one that is suitable for the new membrane. And if you’re tempted to save water by using a flow restrictor too tight for the membrane, you’ll get poorer TDS rejection from the membrane and also shorten the membrane’s life. This follows the same logic as trying to save on drinking water by urinating less. Although some RO makers do it, it is not a good idea to connect an RO drain line directly to an undersink drain pipe. Although it is not likely to happen, it is possible for drain water to back up into the reverse osmosis unit through the drain pipe. The most common safeguards are the air gap faucet, which is mandated by many states’ plumbing codes, and the “check valve,” or one-way valve, which allows water to flow toward the drain pipe but not toward the reverse osmosis unit. 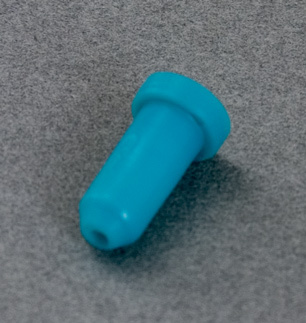 Flow restrictor that inserts into the elbow fitting. The air gap faucet is popular with plumbing code writers but just as unpopular with reverse osmosis owners. Here’s a good article that explains how air gap faucets work. A high quality check valve in the drain line is an excellent protection against drain back up, but it is not recognized by most plumbing codes. 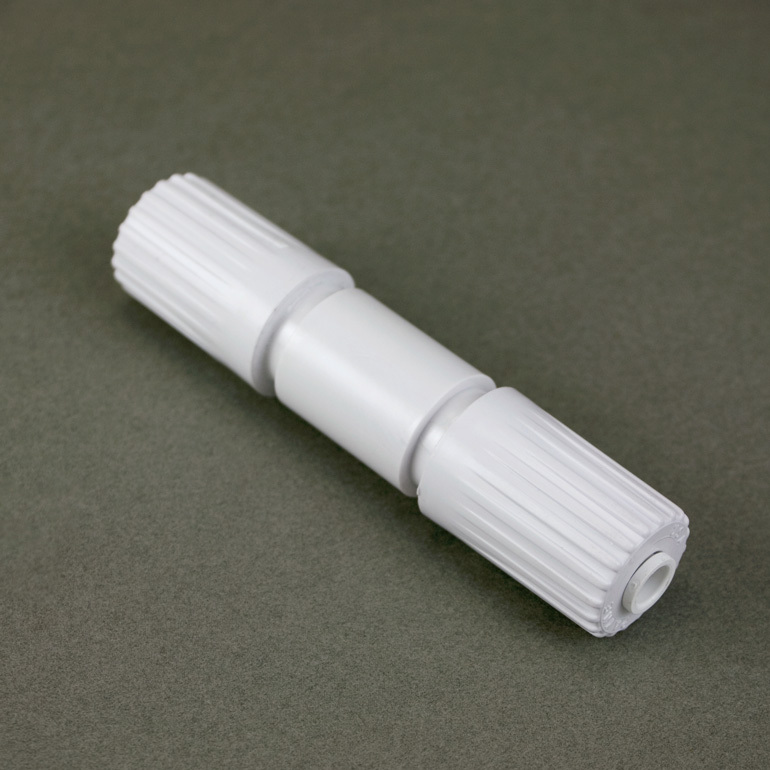 Although there are many alternatives available now, the conventional drain saddle is still the most popular way to attach the RO drain to the undersink drain pipe. The drain saddle is effective, virtually trouble free, and inexpensive. It is installed by simply drilling a small hole into the undersink drain pipe and bolting the saddle to the pipe over the hole. When the RO drain is attached to the saddle, the drain water goes through the hole and into the drain pipe. A healthy drain system is essential if the RO unit is to function properly. It is one of the first things that should be checked when diagnosing a problem with the RO unit. Drain saddle that is installed on the undersink drain line. This article is part of Pure Water Annie’s Water Treatment 101 Series.